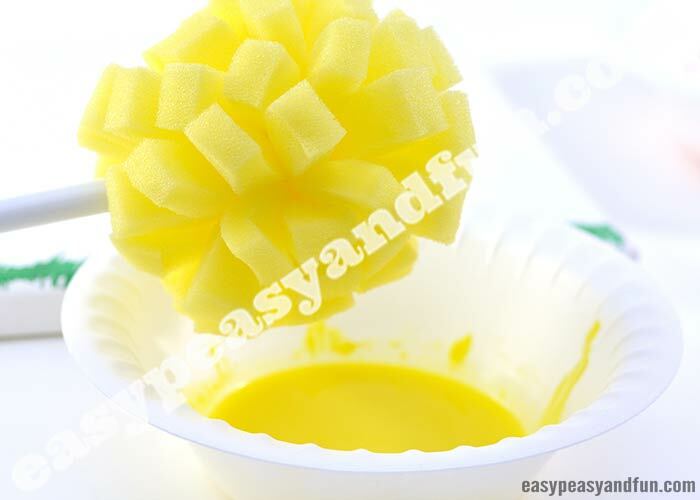 Give painting a bit of a twist by swapping a regular paint brush with a dish sponge! 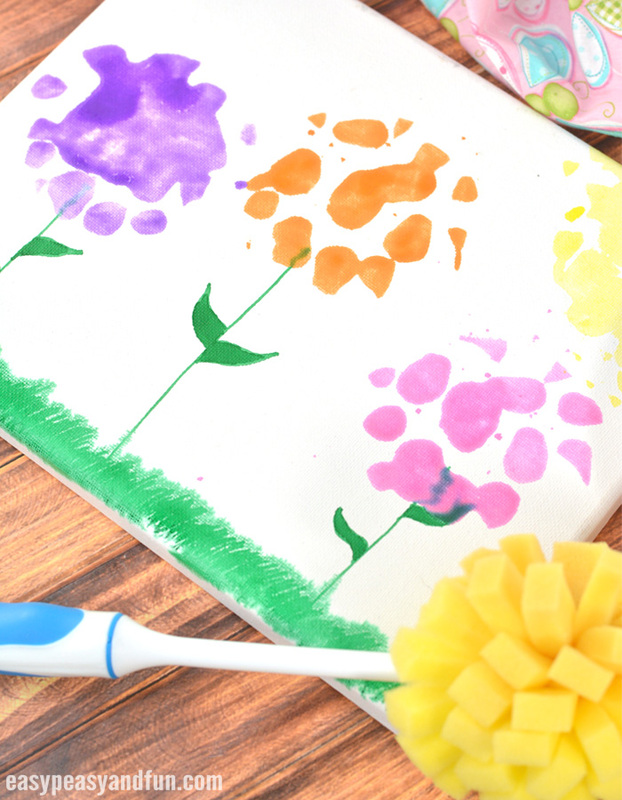 This spring flowers sponge painting art project was created using just that and just look how wonderful (and cool) it turned out. 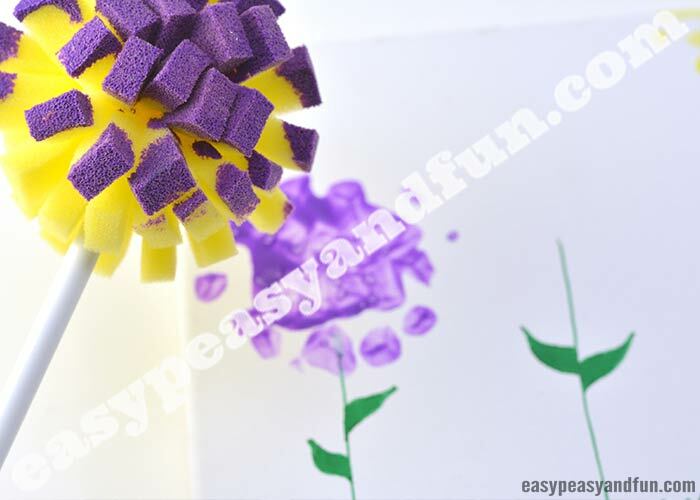 Kids love a bit of variety when it comes to their painting tools and we are sure they will have a splash with this one. 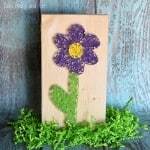 Draw flower stems on the canvas with a green marker. 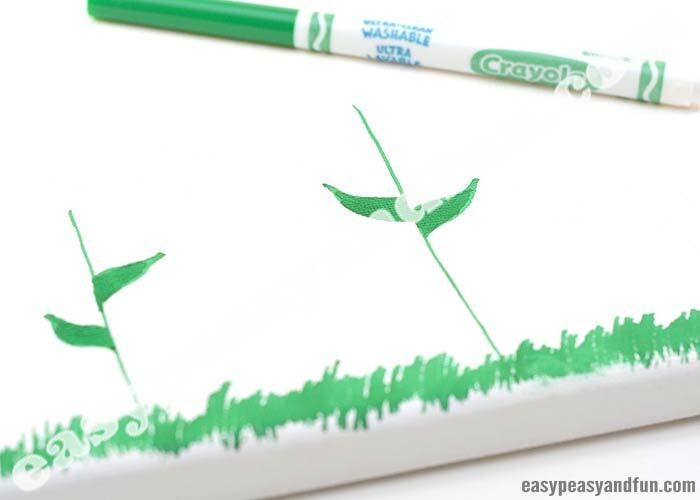 Also draw the grass. 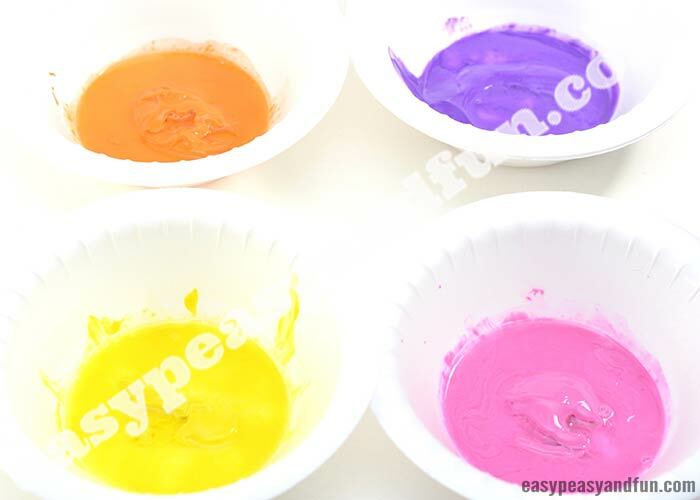 Older kids can do this one their own while young ones might require some help..
Pour the paints into the bowls. Add some water to each of them. They have to be a bit watery. 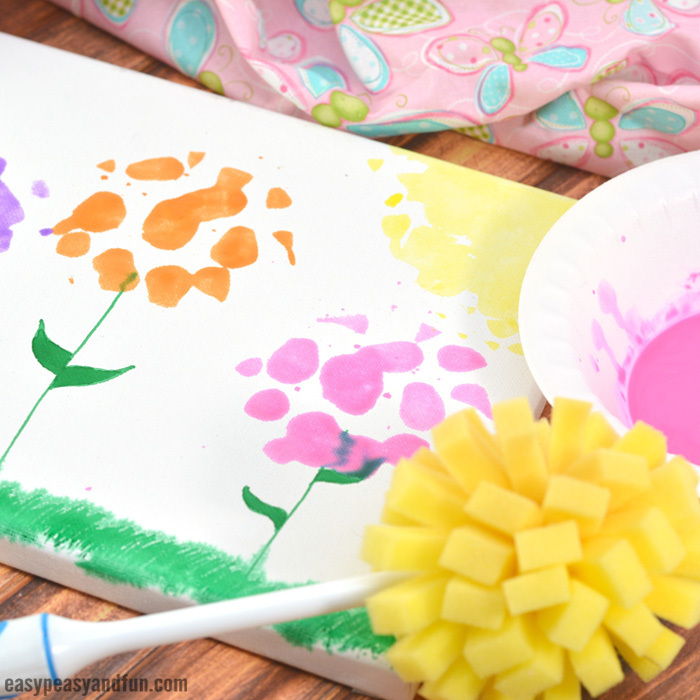 Press the sponge in the upper corner of your canvas – this will make the sun that will shine above your flowers. 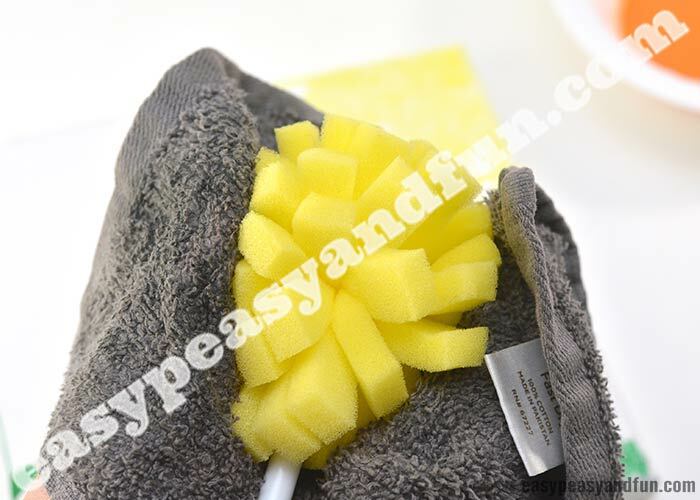 If you’re working with one sponge brush only, wash the sponge tipped bottle brush thoroughly before moving to the next color, and squeeze any excess liquid out with a towel. 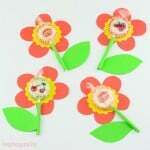 Now let’s make all the pretty little flowers. 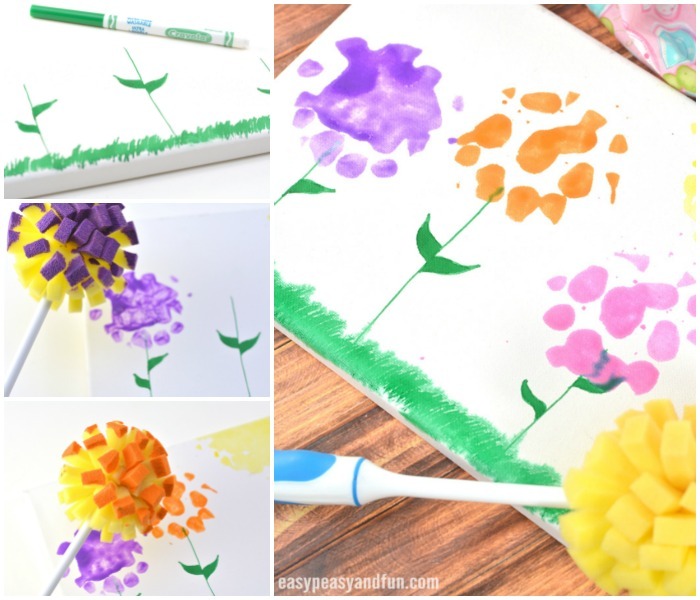 Dip the bottle brush into a flowery color and dab it down on top of the stems you previously drawn. 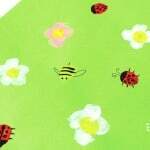 Tip: younger kids, can work on a blank canvas and make the flowers first and stem drawing comes afterwards. 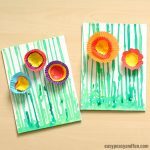 Why only make one color flowers when you can make two or even more! 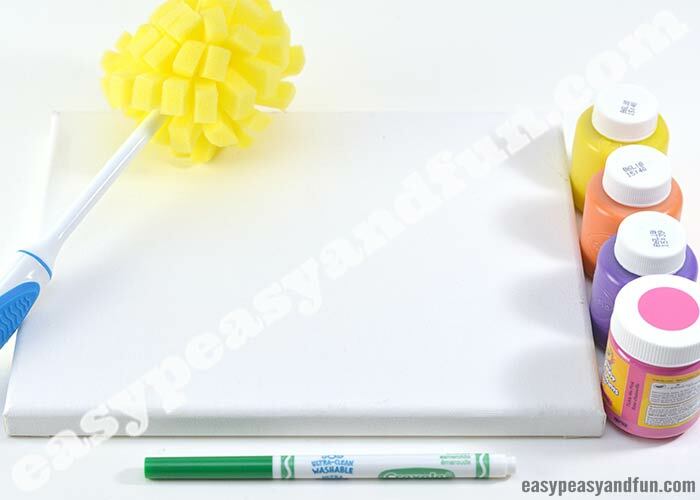 Let your canvas dry completely before displaying. 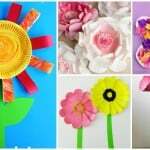 This is a wonderful spring art project for preschoolers or toddlers to make in the classroom. It will make a wonderful display indeed. 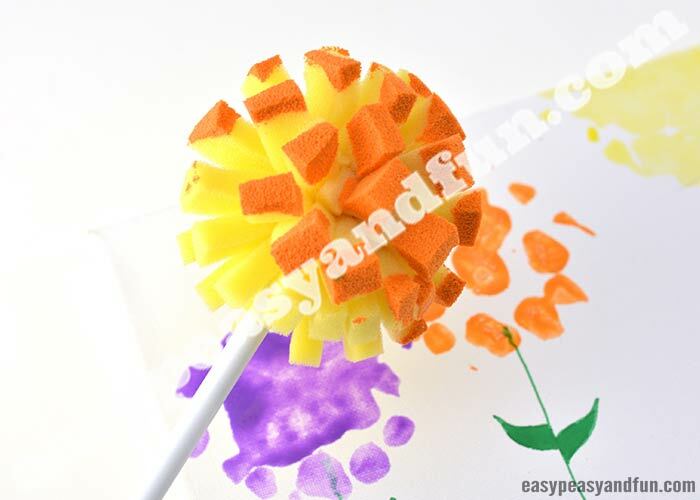 Tutorial contributed by Kathleen B.